When violinists around the world mysteriously vanish, 16-year-old Emma Braun takes notice. 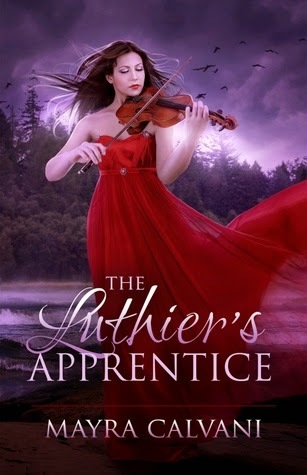 But when her beloved violin teacher disappears… Emma takes charge. With Sherlock Holmes fanatic, not to mention gorgeous Corey Fletcher, Emma discovers a parallel world ruled by an ex-violinist turned evil sorceress who wants to rule the music world on her own terms. For more about The Luthier's Apprentice check out these sites!